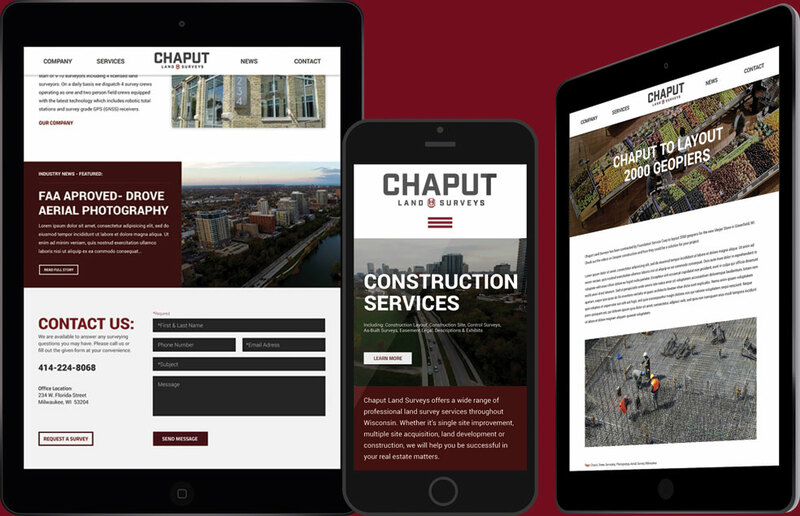 Chaput Land Surveys are a prominent surveying company in Southeastern Wisconsin. We revamped the logo to something recognizable, while creating a straight to the point website that highlights their services & expertise. You have to start somewhere... so we tried yellow, red, black, and yellow with black. We created a variety of icons inside of letters that are inside of circles using different typefaces with different icons. Working with the client, we ultimately circled back to Red, a more familiar color to the company as seen above.